Relax in beautiful local bays, enjoy peaceful picnic spots, do the cafés, browse the shops, explore stunning isolated places. The wide range of activities available includes guided walks, golf, kayaks, fishing, quad bike hire, horse treks, sailing, glow-worms, wineries, rifle range, Vintage Museum, Whaling Museum and Regional Museum. Sand Safaris include a visit to Gumdiggers Park an interesting walk through the early history of the area, and their ticket includes entry fee to the park and fresh sandwiches for lunch at NZ$55/adult, $25/child. Cape and Reef Runner Harrisons Cape Runner offer a light lunch and the best price at NZ$45 per adult, $25 per child. Far North Tours – Experience the wonder of Far North New Zealand with your own personal guide… explore famous 90 Mile Beach, dramatic Cape Reinga and a host of stunning and fascinating places off the main tourist route. Cape Reinga Adventures offer you a unique opportunity to explore New Zealand’s only subtropical playground – the Far North, Cape Reinga region. They cater for everyone from individuals and couples to corporate team events. Tua Tua tours have quad biked the Gumfield trail with everyone from retirees to billionaires. Enjoy spectacular dunes above Shipwreck Bay & 90 Mile Beach, return around Reef Point. The two hour tour is our personal favourite for awesome views and family fun. The quad bikes are able to be ridden by anyone who can drive a car and you can double up if you wish. Sunglasses are a must. http://www.ahiparaadventure.co.nz/ hire every toy for the beach, from quad bikes to surfboards to fishing rods to land yachts. www.farnorthwinecentre.co.nz is a font of knowledge and tasting on the many local wines and wineries. 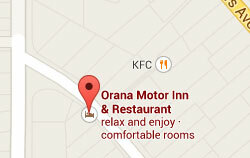 Located alongside the Old Oak Inn at Mangonui. Okahu Estate is a multi gold medal wining local vineyard, only 3km from Kaitaia. Many on our wine list. www.butlerpoint.co.nz make an appointment visit the history of whaling and seafarers of old. Ancient Kauri Kingdom – Handcrafted furniture, art, crafts and gifts from the oldest workable timber in the world. Located in Awanui, 8km north of Kaitaia. Suggestion: Call in to Mangonui on the edge of Doubtless Bay, for great fish & chips at Mangonui Fish & Chip Shop, wonderful food and coffee at Waterfront Café & quaint shops to browse. Suggestion: When travelling SH10 between Kerikeri and Whangaroa, if it is a sunny day divert through the loop road above Matauri Bay to take in spectacular views. Suggestion: Any day is a good day to visit Manginangina Scenic Reserve between Kerikeri and Kaeo; an easy 20 minute boardwalk through giant Kauri trees. Suggestion: When traveling SH10, take a 15 minute drive up the Karikari Peninsula to Matai Bay. A favourite picnic spot is on the top of the grassy hill overlooking two perfect little bays. and Winery . The winery offers wine, food and good coffee, and in the evenings the Carrington Club restaurant may be open for casual dining. Dargaville Museum is an interesting stop and viewpoint above the town. You can still get a cup of instant coffee for a $1 donation in the honesty jar alongside the fridge at reception. Suggestion: When in the Hokianga area consider a visit to Wairere Boulders, a really interesting walk. Check it out on the website and see what you think. Suggestion: There is a ferry across the Hokianga Harbour, between Kohukohu and Rawene. It runs every hour on the hour from Kohukohu (the northern side) and on the half hour from Rawene (the southern side). When busy the timetable is disregarded and it shuttles back & forward every half hour or so. Suggestion: Matakohe; one of the best museums in NZ, even though it is in the middle of the countryside. Ask at reception if you decide to linger longer and they will direct you to some lovely B&B’s close by. More golf at Whangaroa or Kerikeri or Waitangi. 5 people shoot at one time, maximum 15 people, (perhaps 5 teams of 3), on the range at any one time.